Luisa “Lu” Brant is the newly elected state’s attorney of Howard County, Maryland, a job in which her widower father famously served. Fiercely intelligent and ambitious, she sees an opportunity to burnish her reputation by trying a homeless man accused of beating a woman to death in her home. It’s not the kind of case that makes national headlines, but peaceful Howard County doesn’t see many homicides. As Lu prepares for the trial, the case dredges up painful memories, reminding her small but tight-knit family of the night when her brother, AJ, saved his best friend at the cost of another man’s life. Only eighteen at the time, AJ was found to have acted in self-defense. Now Lu wonders if the events of 1980 happened as she remembers them. Long discrete memories begin to fit together, revealing connections and secrets that Lu never suspected. The more she learns about her new case, the more questions arise about the past. Why was her brother’s friend attacked? Who was the true victim? Lu discovers that the legal system, the bedrock of her entire life, can no longer provide comfort or even reliable answers. If there is such a thing as the whole truth, Lu realizes—possibly too late—that she would be better off not knowing what it is. The titular Wilde Lake is both the name of a lake and a high school in the book. The action takes place both when Lu is about ten years old and her brother AJ is in high school, and the 'present day'. In the present day, Lu has just been elected state's attorney for the county and AJ is a 53 year old granola. There are a lot of contrasts in Wilde Lake amongst the populace: differences in economic and social status, race, religion, etc etc etc. There is also the murder trial of Rudy Drysdale, and how culpable does his mental state make him? What's the difference between his behavior and that of 'normal' people who do risky and/or stupid things and then hide them? There is Lu's own 'friends with benefits' relationship with an old family friend, who is married. If that news came out, it could damage Shep's family beyond repair. When it comes out (and I'm not saying it does), it would damage Lu's reputation and most likely cause her not to be re-elected, if not pressured to 'give her resignation'. I did not find the character of Lu to be exceptionally likable in the beginning. But we are in her corner, in a sense. She is a widow, raising two children of her own. Her family has as long a standing in Columbia as any other. She is a talented lawyer. But there's the matter of her affair with a married man. And what other secrets is she hiding? But that only shows that she is ... human, like the rest of us. Wilde Lake is a book you can sink your teeth into, as the saying goes. It isn't a story that you can wrap up into a nice package with a bow at the end, where it can rest on the shelf and look pretty. Sometimes there is no 'happily ever after'. Sometimes the prince doesn't slay the dragon, rescue the princess and go on to wedded bliss. I thought more while reading Wilde Lake than I have in a while; I debated more about right and wrong, certainly. But that just means Ms. Lippman has given us a story to read, re-read, and mull over. It is a story I will remember for a long time after I close the book. 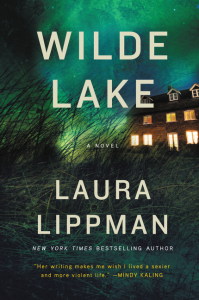 Since Laura Lippman’s debut, she has won multiple awards and critical acclaim for provocative, timely crime novels set in her beloved hometown of Baltimore. Now a perennial New York Times bestselling author, she lives in Baltimore and New Orleans with her family. Click on the button to go to the tour page, where you will find links to more reviews of this title. 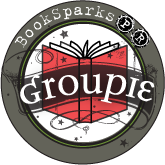 You can also find out how to become a blog host for future book tours. Some of my favorite books make me debate right and wrong, and blur the lines between the two. It's a great reminder that life isn't always black and white. Sadly like doesn't always wrap up neatly and it looks like this book reflects that reality. For me, books with this kind of realism can make my life feel less stressful and more normal when things aren't perfect.